A vast indoor market that was established on Grand Parade in 1610, at which time the avenue was a canal; it was only filled in the 19C. Ships used to moor at the entrance to unload their goods. 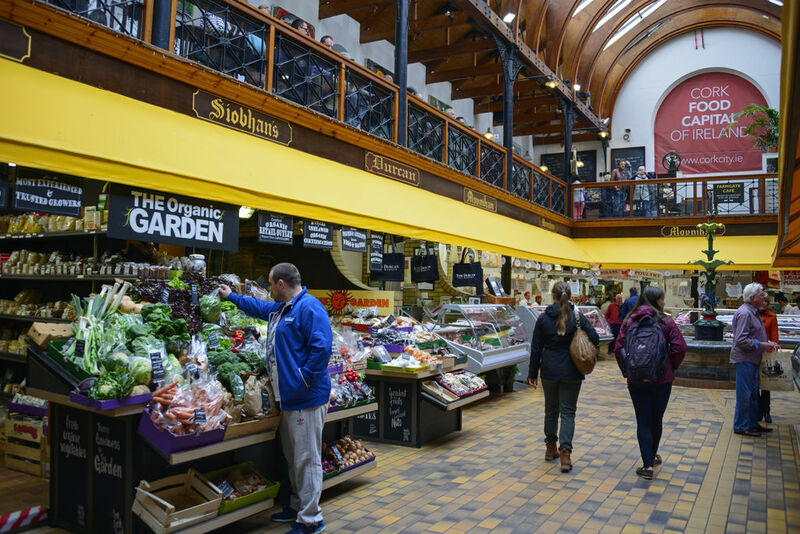 Don't hesitate to come here to do some shopping and taste the local specialities: drisheen (black pudding) and crúibini (pigs' trotters). The aisles lead to an atrium, which is overlooked by the famous Farmgate Café.